Association of Initial Disease-Modifying Therapy With Later Conversion to Secondary Progressive Multiple Sclerosis. Brown JWL, Coles A, Horakova D, Havrdova E, Izquierdo G, Prat A, Girard M, Duquette P, Trojano M, Lugaresi A, Bergamaschi R, Grammond P, Alroughani R, Hupperts R, McCombe P, Van Pesch V, Sola P, Ferraro D, Grand’Maison F, Terzi M, Lechner-Scott J, Flechter S, Slee M, Shaygannejad V, Pucci E, Granella F, Jokubaitis V, Willis M, Rice C, Scolding N, Wilkins A, Pearson OR, Ziemssen T, Hutchinson M, Harding K, Jones J, McGuigan C, Butzkueven H, Kalincik T, Robertson N; MSBase Study Group. Hi Peeps I’m almost back on the blog but still have no idea how to use the new system so bare with the MDs. Whilst we where posting on HSCT, this paper slipped through. However, having sat through some talks by Neuros supporting the “do nothing and waiting and see”. I was thinking I am rather happy that I work with some Neurological Mammals and that they took a real interest in teaching the next generation of neuros and nurses that Time is Brain and not to be squandered by inactivity. 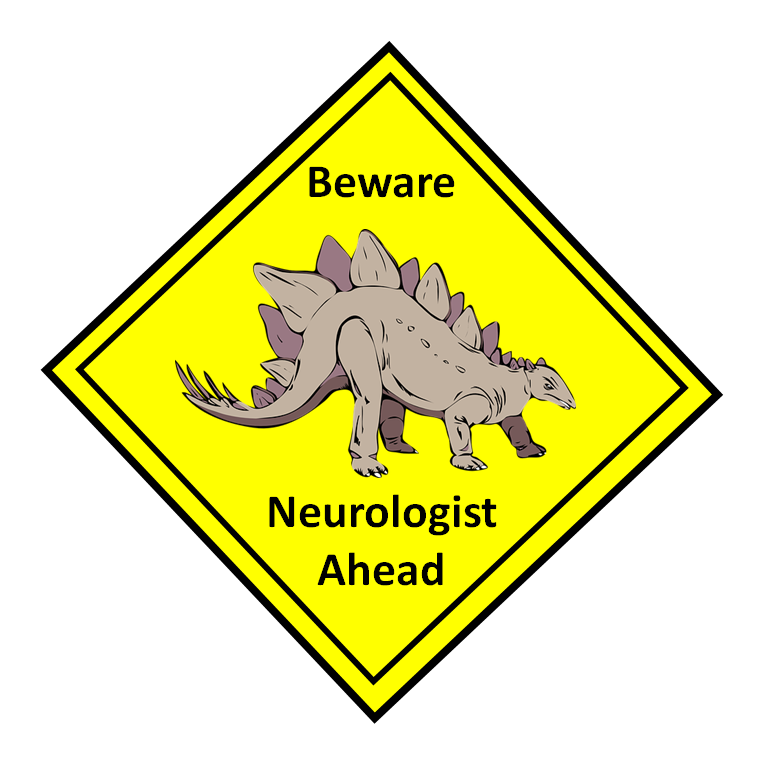 So my hope for the Treatment of MS this year would be to see introduction of the Neurological Chicxulub. Chicxuclub is not a new drug…although it sounds like it, but reading the above if may be be the tonic that many of you need. Chicxulub is the site that many believe is the site in Mexico where a giant comet/asteroid struck the Earth and created the climate change that killed off the Dinosaurs. This study shows that all MS agents appeared to have a measurable, favorable effect on disease progression. Moreover, the group of therapies that was most effective at decreasing relapse rates also had the greatest benefit on disease progression. Furthermore, earlier initiation of these therapies uniformly appeared to have a more significant effect on disease course. The message is clear “Time is Brain”. This study demonstrates that if you are prescribed one of the CRAB drugs you are more likely to develop SPMS than if you select a treatment with even modest efficacy. OK some people may respond well but the fact is many will not. They simply serve to eat up your neurological reserve. what you lose by being on such agents, you lose. It is a dinosaur view to do nothing. For them we need preverbial asteroid to come along. A key observation of this study was that there was a progressive decline in brain volume despite treatment with natalizumab. This decline was seen in gray matter but not white matter structures. But it was not controlled and so how do you know how much atrophy would occur if no drug had been used. The people in the study had had MS for 9 years, which is hardly early treatment and therefore some of the damage may have been preprogrammed before natalizumab treatment that stopped new Tand T2 lesions. However we know that people with SPMS treated with natalizumab continue to progress. Well, when I found out I had MS, had first symtoms, it turned out progressive from the “start”, i.e. PPMS. So I think we’d need another selective extinction event to get rid of all those effectively causing neuroprotctive development to sit on the back burner. All those pushing research into viral involvement, causes of MS and genuine cures into the back of the store cupboard. I fear pharma would be obliterated. According to various posts on this blog MS is one disease and SPMS is not really any different to the relapsing phase. Do you still agree with this? I’m sorry but this is a nonsense. All studies seem to overlook a key issue, which is that diagnosis often occurs late in disease course. By the time it is recognised and labelled there really is no time to waste. The most effective treatments need to be available and offered immediately on diagnosis. Messing around with an escalation treatment protocol is a nonsense that plays with people’s lives, like offering paracetamol to treat cancer. We know too that DMDs don’t have long term trial results. Dr Ebers, formerly of the JR in Oxford that DMDs states that a DMDs have very little impact on eventual timing of conversion to SPMS. Of course avoiding SPMS is needed, it doesn’t need a study to state the obvious. All that is required is for first line treatment to be the most highly effective available. The risk / benefit argument is moot in my view. MS is a nasty, aggressive condition that requires the best available treatment. The first two tiers of DMDs need consigning to history immediately along with the words moderately effective. Highly effective should be the only treatment offered and work on HSCT needs to be focussed and expedited to allow it to become a first line option soon. I wouldn’t wish the symptoms, disability, loss of dignity and downright misery of MS on my worst enemy. I told my neuro I wanted to hit it hard and fast immediately, when my edss was 1. His complacency and unwillingness to recommend the treatment I asked for means that I am condemned to live the rest of my life unable to be the person I was. His arrogance doesn’t stop him from working, seeing his family, seeing friends. He hasn’t lost everything he has spent his life striving to achieve. His failure to listen to me and take on board my views on treatment for myself, has effectively helped to condemn me to a life sentence of frustration and lost potential. Sadly I know that my story is one in many tens of thousands, that my opinions won’t change the approach of the establishment. I just have to hope that by expressing myself, someone who can make a difference will pick up the baton and run with it. This is what I have been trying to do for over a decade summed up in a single comment. Sorry, am a bit confused… what have you been trying to do for a decade? Not sure which post this is in reply to… what exactly is it that you have been trying to do for the last decade? I believe DR G is replying to PHoenix2507’s final comment where PHOENIX2507 refers to the “approach of the establishment” being resistant to change. DR G is simply saying, I believe, that he has been trying to do his part in changing the ” approach of the establishment” through BartsMS Blog. Wow. Thank you for this powerful post. By coincidence I read it this afternoon on the way to an appointment with my neurologist, in which I received my MS diagnosis. It certainly influenced my reply when he asked me about my initial thoughts on treatment. So thank you. Sarah, I’m really sorry you have joined a club that nobody wants to be a member of. My key advice to you is to be your own best advocate and research as much as you can. There are thousands of “experts by experience” who are happy to share on all kinds of forums and social media. You will find differing and contradictory views amongst both people with MS and the medical profession, so in the end you have to make an informed decision for yourself. Make sure that you are referred to your local MS Nurse too. My best advice is do not under any circumstances be convinced to wait and see ! MS is always mild until one day you wake up and its not. That day is when you know you waited too long. A phrase you will hear a lot is Time is Brain. Best wishes Sarah, I expect we will cross paths on social media soon.